According to “Oblivion,” as well as most other dystopian sci-fi films, the future is filled with white rooms and white furniture. This feels less like an ode to Minimalism and more like a director and crew that were too bored to hash out all the details. 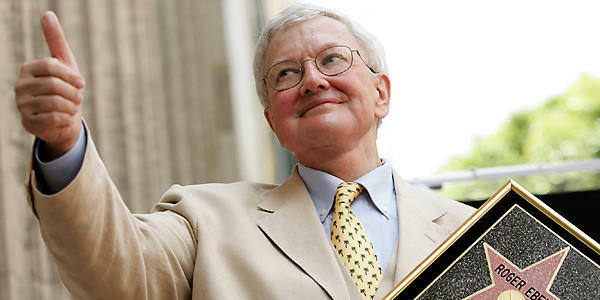 That’s what “Oblivion” is: the possibility of an original sci-fi property wrapped up in a generic shell. 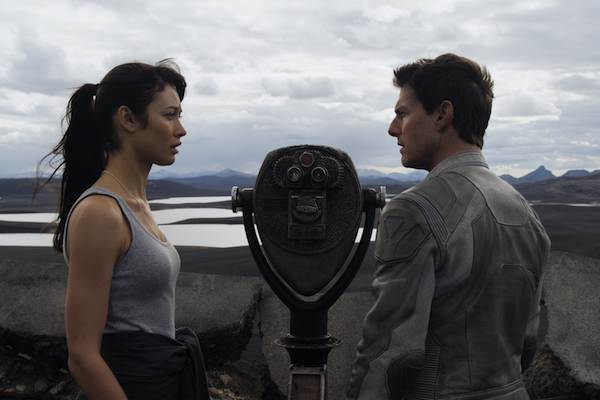 “Oblivion” begins with a voiceover describing the end of the world. Tom Cruise, who once again plays a man named Jack, delivers a bland monologue, which works much better when it is explained in a scene later on. Jack, along with Victoria (Andrea Riseborough) are part of a “mop-up crew” who stay in a swanky apartment (as described above) and are assigned to patrol what remains of Earth. Writer-Director Joseph Kosinski decided to hit Earth with a whole array of disasters: aliens invade, the moon is destroyed, and earthquakes and tsunamis tear the world asunder. The best thing that can be said about “Oblivion” is how striking and well thought out the world looks. While the set design is stale, the world is well detailed. The creative minds behind this film certainly spend a lot of time thinking about the end of the world. However, if the film’s poster reminded you a lot of “I Am Legend,” that’s because the two films are a little too close for comfort. “Oblivion” feels like a mash up of a lot of sci-fi films, both great and mediocre. The film’s main villain (or at least I think it is, more on that soon) evokes a much less frightening version of HAL from “2001: A Space Odyssey.” Also, the film’s use of paintings and old texts for blatant symbolism felt like “The Book Of Eli,” another post-apocalyptic film with a lot of problems. “Oblivion” is derivative of films that were derivative of other films. While people like to give Tom Cruise flack, there’s a reason the man became so big in the first place: he is an incredibly talented actor who can take on Spielberg blockbusters and Cameron Crowe romances. At his best, Cruise can feel like an everyman even though he is clearly a movie star. At his worst, he is distant and unemotional. The latter describes his performance in “Oblivion.” While he is supposed to be a cold, highly trained killer here, he didn’t even make sense as that. For somebody with such a haunted and confused past, it clearly didn’t seem to bother him at all. The biggest problem that “Oblivion” faces is a script filled with stilted dialogue and underdeveloped characters. Just look at the Morgan Freeman. He comes in, almost saves the movie, and then disappears again for an hour. They say that a movie is as good as its villain. Jack and the resistance spend most of “Oblivion” fighting a bunch of orbs that shoot things out of them. And that’s about it. There are no confrontations or motivations to create intrigue or raise the stakes. A better villain probably would have made “Oblivion” more entertaining. The film’s villain problem highlights the real issue of “Oblivion”: it’s just plain boring. The action sequences have absolutely no life in them. With all of the money spent on this film, couldn’t there have been a little more life injected into them? Every battle feels like it was won with no difficulty at all. The director seems to enjoy taking every convenience possible whenever a storyline can’t work out (for example: Jack’s bike breaking down). Note: There are multiple story lines that I didn’t get into. That is partly because I don’t want to spoil anything, and partly because I had barely any idea what was going on at all during this film. This entry was posted in Apocalyptic Films, Dystopian Films, Joseph Kosinski, Morgan Freeman, Movie Review, Oblivion, Sci-Fi on April 19, 2013 by ian0592.